The Silva Cell is a specialised tool to help you meet your project's sustainability goals and improve the ecological function of your site. 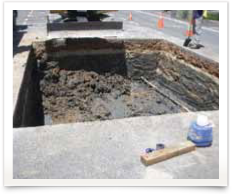 It enables you to enhance your site designs through the use of green infrastructure making it easy to integrate large tree growth and on site storm water management. 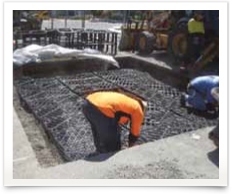 The Structural Cell supports traffic loads while providing non-compacted soil volumes for large tree growth and on-site storm water management. 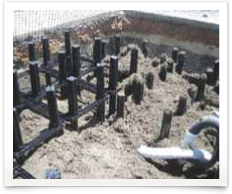 The modular framework provides unlimited access to the healthy soil, a critical component of tree growth in urban environments, allowing this system to manage storm water, reduce heat island effect, improve air quality and increase carbon dioxide sequestration. Each Silva Cell is composed of a frame and a deck. 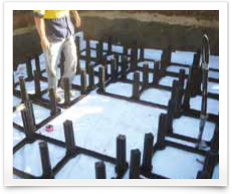 Frames can be stacked one, two or three units high before they are topped with a deck to create a maximum amount of soil volume for tree root growth and stormwater treatment. Silva Cells can be spread laterally as wide as required to meet design requirements. Each unit is approximately 92% void space making it easy to accommodate surrounding utilities. Six rigid vertical posts protrude from the bottom of the frame to support hardscapes along with the weight of any load they carry. The posts have a cross-sectional shape that maximises axial rigidity while also preventing the posts from telescoping together when the Cells are stacked upon each other. Their rounded edges prevent significant stress concentrations. 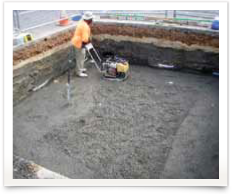 This means that hardscapes supported by the Silva Cell are in no danger of sinking due to compressive forces. 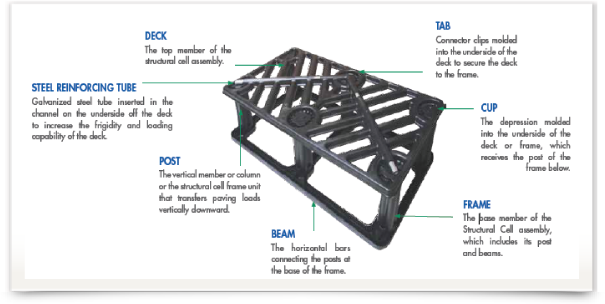 The deck is a rigid platform with six recesses that are positioned to rest securely on the six posts of the frame. There is also a snapping mechanism on the deck to fasten it to the frame. Openings on the deck allow ample room for air and water to penetrate and nourish the enclosed soil. There are two diagonal channels on the upper portion of the deck that house two galvanized steel tubes; these tubes prevent deformation of the posts and help eliminate plastic creep. 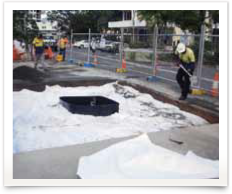 Treat stormwater as a resource and maintain it on-site. 30% Fibreglass reinforced, chemically-coupled homopolymer polypropylene. Meets AASHTO H-20 loading standards. Please click to download our full Company Overview pdf document.